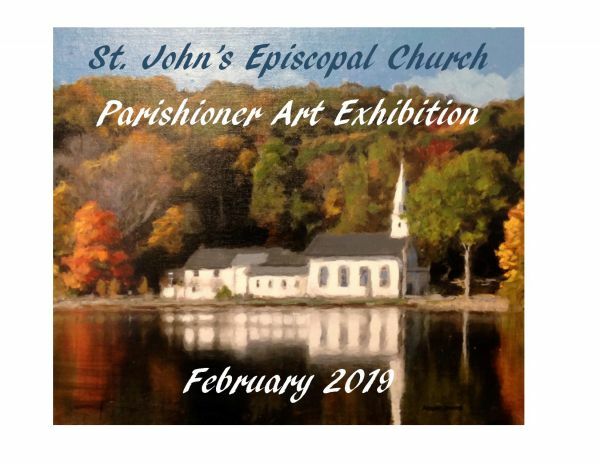 Reminder: While submissions for our first St. John's Church Parishioner Art Exhibit are due by email to Steve Finch no later than January 11, please contact Steve through this weekend if you want to exhibit. Information needed: Artist’s Name, Title, Year, Medium, Size (not to exceed 36"x36") and a digital image if possible. The physical drop-off of work will be Thursday, January 31. All work should be framed, wired and ready to hang; no sawtooth hangers. Please direct your submissions and questions to Steve Finch ([email protected]). Featured: oil painting by artist Robert Patrick Coombs.